Android 6.0 is headed to Nexus devices the week of Oct. 5. We've been waiting for it for months, and now it's almost here. 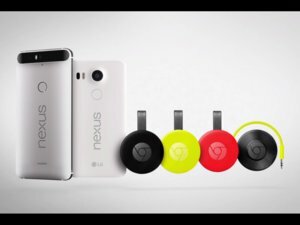 Beginning next week Android 6.0 Marshmallow will roll out to Nexus 5, 6, 7 (2013), and 9 devices. Google didn't give an official release date, but the roll out is expected to begin on Monday, Oct. 5. Owners of non-Nexus devices will have to check with their respective device manufacturers for Android 6.0 eligibility and rollout dates. The company also didn't mention when the Nexus images would be available for impatient users who want to to download and install the mobile operating system themselves. When the images do go public, however, you'll find them on Google's developer site. Marshmallow isn't the software overhaul that Android 5.0 Lollipop was, but it will still offer some nice features for new and longtime Android users. The phone icon on the lock screen will be replaced by a voice actions button, so you can boss your phone around that much faster. The new Android OS also promises to get to know your app usage better. When you open the app drawer in Android 6.0, you will eventually see some apps right at the top of the screen that aren't in alphabetical order. These apps are suggestions based on your past usage. If you always launch YouTube at 12:30 P.M. while on lunch break, for example, you should see that app at the top of the list at that time of day. Android veterans should also like Doze, a feature that promises to boost battery life by 30 percent compared to the original Nexus 5 and 6 devices when the screen is powered off. There are tons of small improvements like this that promise to tweak the Android experience and make it that much better. For more details on Android Marshmallow's features check out our introductory article as well as our extensive previous Marshmallow-flavored coverage. This story, "Android 6.0 Marshmallow is heading to Nexus devices 'next week'" was originally published by Greenbot.